He said he was running "for people". 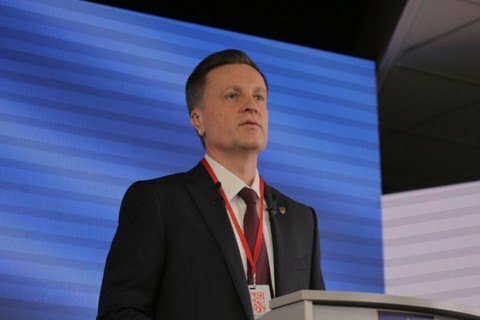 Valentyn Nalyvaychenko's Public Political Movement Justice (Spravedlyvist) has nominated its leader and former chief of the Security Service of Ukraine (SBU), Valentyn Nalyvaychenko, as candidate for president. Speaking at the 3 January congress, he said he was "running fo president not for the seat but for people". His priorities include restoring peace, fighting corruption and putting the country back on the development track. According to recent polls, his rating is below 1%.